The Australian Mouse Brain Mapping Consortium (AMBMC) aims to provide researchers with access to a national facility to characterise their mouse models of neurological disease. 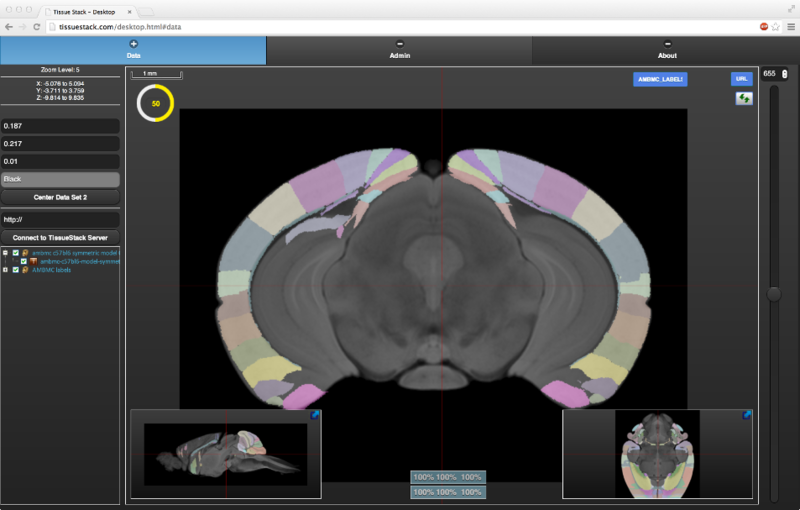 The AMBMC will use state-of-the-art imaging, computational anatomy and image analysis to enable multi-dimensional statistical comparisons of brain anatomy between the mouse model and background strain. The AMBMC was funded by an National Health and Medical Research Council Enabling Grant (436673). An online version of all the AMBMC labels for both web browsers and tablets is available via the image link below. If you have any specific enquiries, please email the authors on their respective pages.